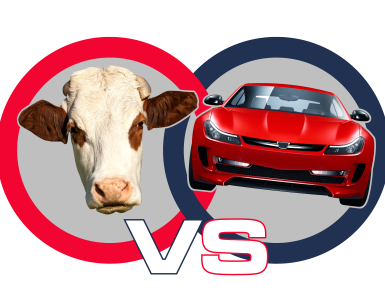 Have you tried the Cows vs Cars Quiz first? If not, you’ll want to ‘moo-ve‘ back there and give it a go… you don’t want to spoil the fun now, do you!? 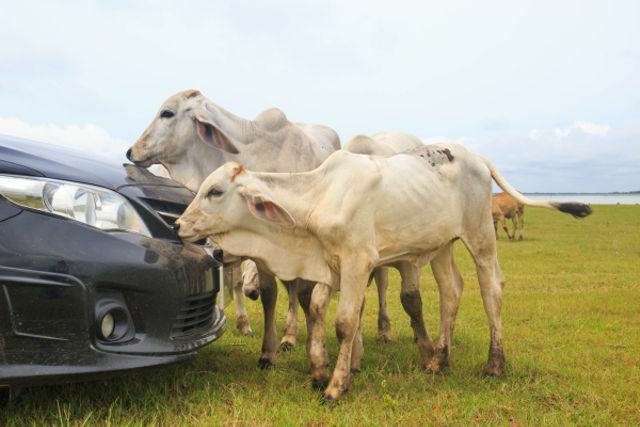 While it’s difficult to know the exact number, studies have estimated that there are around 1.3-1.5 billion cows in the world, compared to 1 billion cars. However, with growing populations and cars being manufactured all the time, the opposite could be true in the coming years. 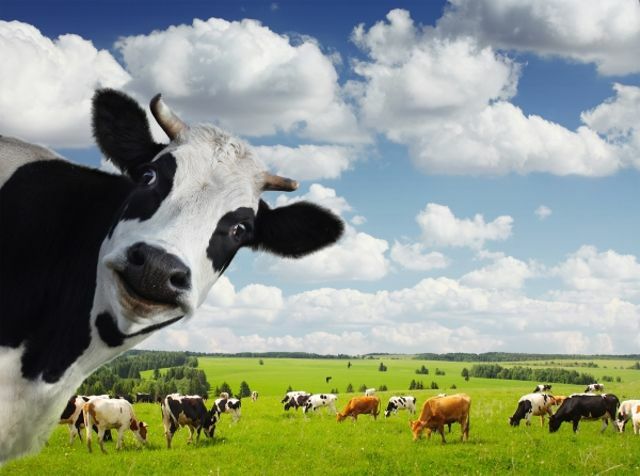 Cows – along with sheep, goats, giraffes and deer (‘ruminants’) – produce methane gas when digesting their food. This is because all these animals have four stomachs, and when eating, the food arrives in the first stomach, but then it comes back up (yuk!) to be eaten and swallowed again! To try and reduce the amount produced through burping and farting, scientists tried adding garlic to their diet, which can break up the organisms in the gut which produce methane. A. True, its 23x worse! It’s true! In fact it’s much, much more! 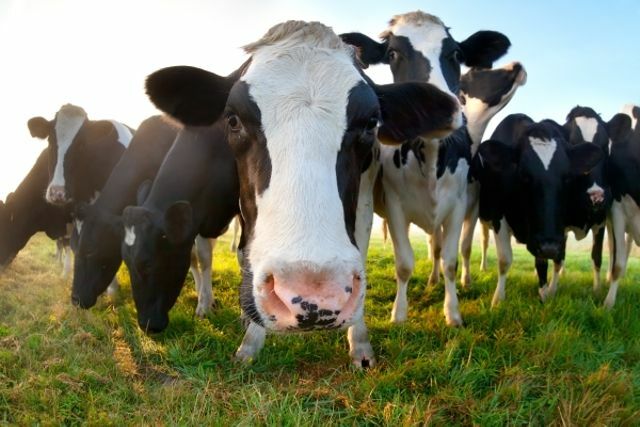 Although methane stays in the atmosphere for less time than carbon dioxide, it has been estimated that methane gas from cows is 23x more damaging to our climate than the carbon dioxide produced by cars! Even though there is more carbon dioxide in the atmosphere, methane traps more heat from the sun, meaning it contributes far more to greenhouse gases and global warming. Q. 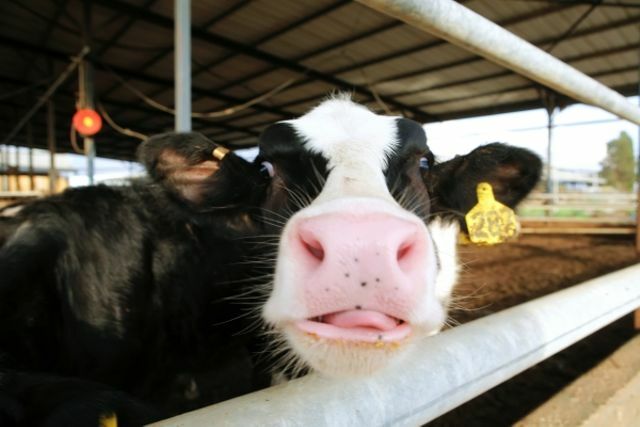 Scientists use lasers to find out the speed and direction of a cow’s fart. Crazy, but true! This method is used to see the difference in gas emissions between breeds of cows over set time periods. 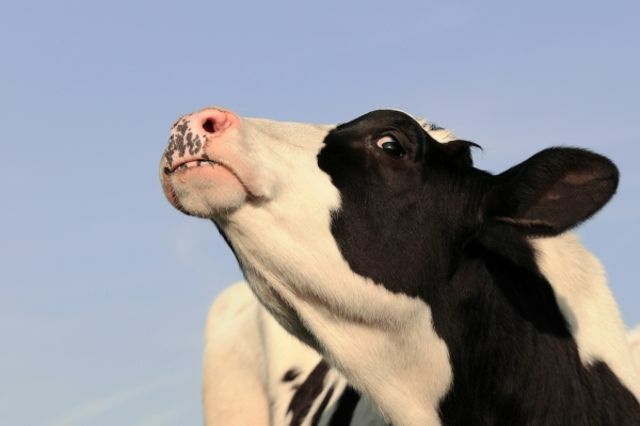 This allows scientists to know more about what types of greenhouse gases the cows give off through burping and farting, as well as where the gas is, how much there is, and where and how fast it travels. Q. Cows contribute more to climate change in a year than cars do in the same amount of time. This is true, but that is because they each produce a different type of greenhouse gas. 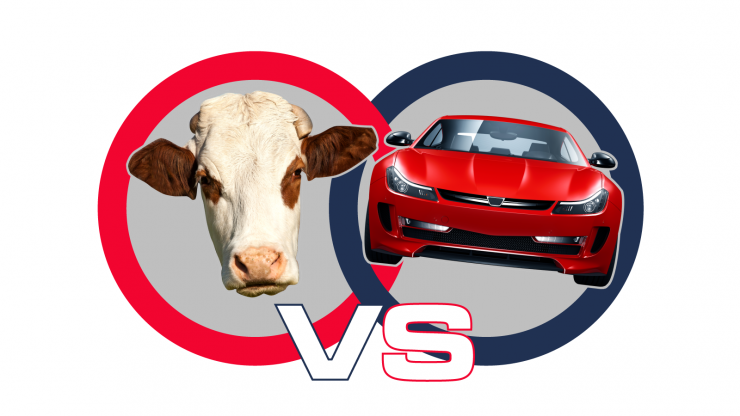 Cows produce methane, while cars produce carbon dioxide. Methane is a much more powerful and damaging greenhouse gas than carbon dioxide, although it stays in the atmosphere for less time. Actually, there is a tiny bit of truth in this one. 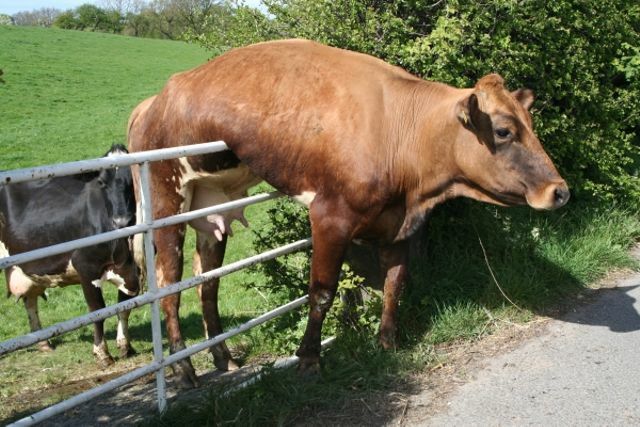 There have been experiments in farms in Wales, which looked at trapping cow farts and converting them into electricity. However, this was seem as unfair to the cows, as they would need to be kept in a bubble in order to catch the gas, as well as being expensive and difficult to manage. Q. Farmers have to pay a ‘fart tax’ on their cows to cover the potential damage their burping and farting is doing to the planet. No, farmers don’t have to pay a ‘fart tax’… for now! 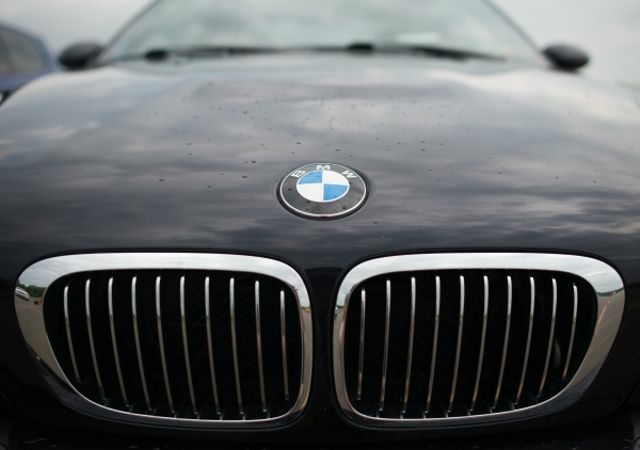 In New Zealand in 2003, the government proposed that this type of tax should be paid by farmers, much like the car tax (or vehicle excise duty to give it it’s proper name), because both cars and cows produce harmful emissions. However, the public did not agree and the idea was scrapped. 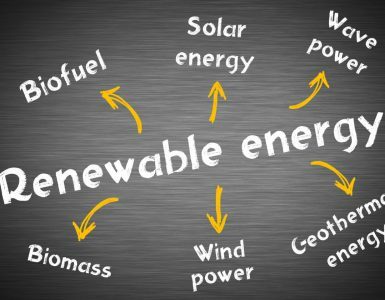 Take our quick renewables quiz and test your knowledge of how energy sources like wind, solar, hydro and biomass are contributing more and more to energy mixes around the world! 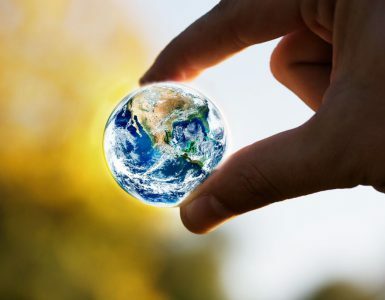 Expand your knowledge with our global energy use quiz!